Garden Maintenance: Plant the Seeds of Your Garden’s Success! Maintaining your garden can seem like a burden at times, but it doesn’t have to be! By knowing what’s involved, making a plan and assessing what resources you can use on your garden are all crucial steps to reducing the worries associated with garden maintenance. Read on to discover the basics as well as some top tips! Garden maintenance represents the regular care involved in keeping a garden looking a certain way. Of course, this means different things for different people so perhaps your garden will only need the lawn cut every week or so, or maybe you will want more involved garden maintenance. It also depends on the garden, of course, because the more plants you have (and the more diverse your plant portfolio is), the more maintenance you will have to do. 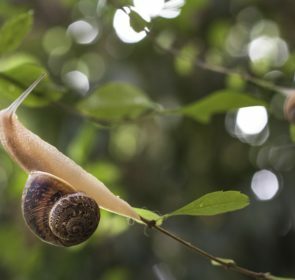 What does garden maintenance involve? Of course, this will depend on the season. For instance, in winter there is more pruning and tidying and in the spring you will be planting and washing the decking for instance. The summer will see you cutting your lawn and weeding your garden. 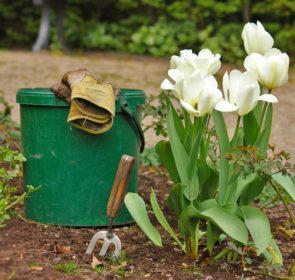 Autumn is a good time to plant bulbs in preparation for the spring and to remove your spent vegetable plants, as well as plenty of raking. How to do garden maintenance? Garden maintenance is best done with a plan. So before you get your rake and trowel out, think about what your plan is for your garden. What kinds of plants will you want next season? What can you do now to prepare? This will inform your garden maintenance plan for the rest of the year. How can you keep garden maintenance costs low? Regularly doing small maintenance tasks in your own garden is a fantastic way to save money on those big jobs in the future. If, however, you come to the conclusion that there is simply too much for you to do with the time you have, you would greatly benefit from hiring a professional gardener. Compare quotes from trusted local gardeners and save money by choosing the best one for you! Enter some information in our secure e-form and within a couple of days you will get up to 5 quotes to compare and ultimately save money on garden maintenance. How to make a garden maintenance plan? So, you want to make a garden maintenance plan. This is crucial to organising yourself and making sure you reach your garden goals. It is important to note that some jobs are more labour intensive than others, so you may want to hire a professional for the big heavy jobs, leaving you to the easy and fun tasks! What do you want your garden to do for you? How much maintenance are you willing to do (how many hours can you commit)? How much maintenance are you willing to outsource? What are the regular tasks your garden needs in each season? Will you be able to do these tasks regularly all year round? What tools or materials will you need to get the garden you want? By finding the answers to these questions, you’ll have a better idea of the work needed to keep your garden the way you like it. Then you can make a plan and divide it according to seasons, months, weeks and even days if you’re feeling super keen! It is good to make a seasonal checklist of the tasks that will need completing in your garden, so prepare accordingly and in as much detail as possible. You may also need some specialised tools for particular jobs your garden may need like hedge clippers, a transplant spade or sit on lawn mower. 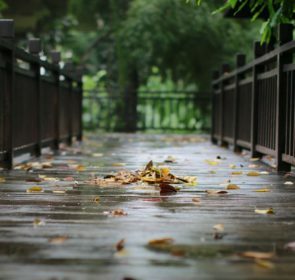 You may be thinking, why should I worry about garden maintenance? Can’t I just deal with it in the spring? Well… If you want your garden to work for you, then garden maintenance should be a priority for you. To avoid huge, heavy, difficult jobs down the line you will want to keep up to date on small maintenance tasks like raking leaves and pruning bushes. 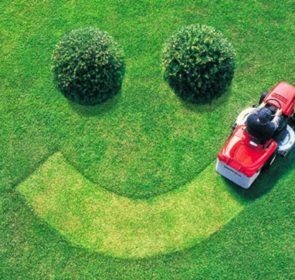 Regularly maintaining your garden is also important if you will be getting extra help for it at some stage – this will avoid overpaying for tidying or cleaning tasks you could have avoided by doing some light regular maintenance. This is also something to keep in mind for yourself: doing small, regular tasks through the down seasons (autumn and winter) means making the big jobs once spring and summer arrive more manageable. Here we share our favorite tips for maintaining a garden easily and effectively! Create a low maintenance garden by installing an automatic watering system and by choosing durable plants, or at least plants that need similar treatment to ensure flourishing health. This will help to streamline your maintenance process since you won’t have to remember what each plant needs if you group them according to those needs. Creating a low-maintenance garden doesn’t need to be a headache for design or plant choice – so don’t worry! A few simple ideas could help you a lot. Firstly, consider ditching the lawn. Lawns need plenty of maintenance and there are plenty of amazing alternatives like artificial turf and gravel. Of course, this depends on your preference. Having amazing soil to start out with will also reduce garden maintenance – your plants are already sitting pretty! Mulching is great at avoiding weeds so consider that, too. A great addition to an established garden is season extenders. They do exactly what they say on the tin – keep your garden productive when the weather gets colder. This can be done with simple row covers that insulate your green buddies from the cold. You can also put special fabrics or frames over them to keep them relatively warm. If you want to tech-hack your garden you can add hotbeds which are cold frames with heating cables, keeping the soil from freezing. Get garden maintenance quotes and compare to save! The best tip for easy garden maintenance is to hire someone to help you out from time to time! You do the fun jobs, and they can help with the tricky or more unpleasant tasks. While you may be reluctant to pay for something you could do yourself, a gardener’s expertise could make your garden maintenance so much easier for you. Compare quotes from up to 5 local gardeners and choose whichever one best suits – or none! Our obligation-free process ensures you make the right decision for your garden.